Okay Dexter fans, this is serious business! 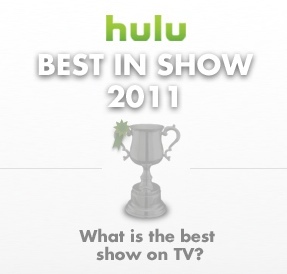 There are only a few days left to vote for Dexter on Hulu’s Best in Show 2011. Dexter is up against the likes of Chuck, and so far, Chuck is murdering Dexter in votes! We must unite together and ensure our favorite blood spatter analyst crosses the finishing line. So go VOTE, VOTE now! 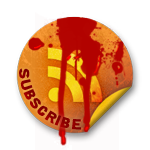 Update April 2: If the amount of comments on the official Dexter Facebook are any indication, there should be plenty of Dexter votes. Some people have voted several times (since it appears that’s allowed). A full day of voting later, Dexter has only moved up 1 percentage point. There are comments on Facebook questioning the voting. I don’t want to be one to point fingers, and after all, this is only a small popularity contest. It IS questionable though, especially considering that Dexter has 7.5 million Facebook fans, while Chuck has 1.5 million. It can also be pointed out, that the reviewer/Best in Show presenter makes it very clear on the voting page that his vote goes to Chuck. Either way, there’s ONE day left to vote for your favorite of the two. Update April 3:: What the Chuck??? Well, yet another full day of multitudes of Dexter fans voting and the vote is STILL 31%, it hasn’t moved even one notch. There’s a few fans on Facebook who’ve written to Hulu about the suspicious voting procedures. Erm, congratulations, Chuck!